Bright lights everywhere inside the park. so where is the princess? 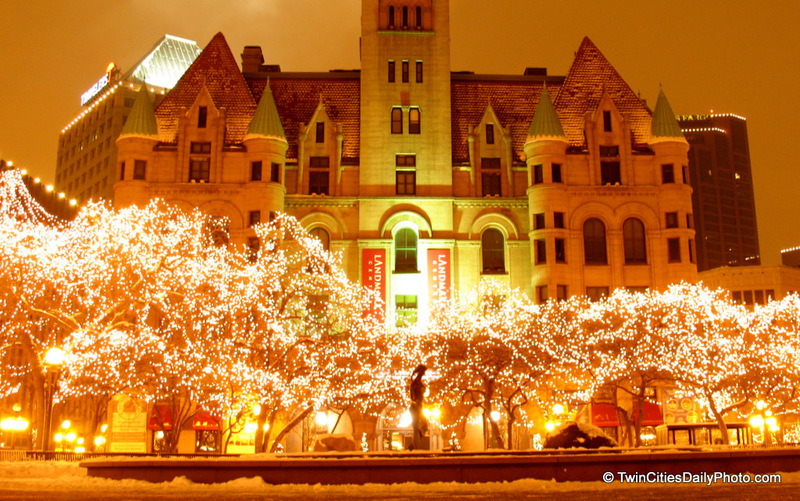 The Christmas lights are too bright, but the Landmark Center is lit very nicely. If I dropped the exposure time down, Landmark Center was tougher to see. So this was my favorite of the night.